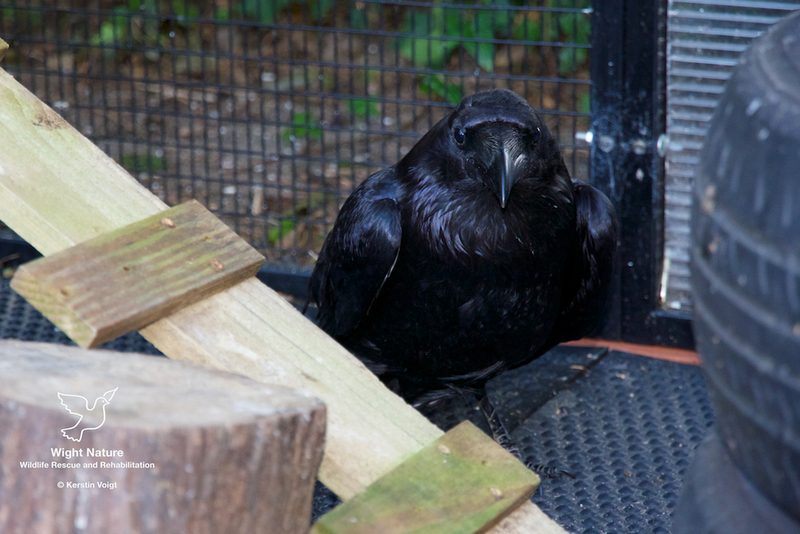 Zarathustra is an adult female raven, who we have rescued after being found unable to fly. The admission assessment showed an extensive bruise along the proximal end of radius and ulna of the left wing, but luckily no fractures have been found. We could only assume that she must have suffered some sort of impact trauma, most likely caused by a collision with a car. Otherwise Zarathustra showed no other signs of disease and was in a pristine condition. Part of the usual treatment and rehabilitation programme is passive physiotherapy and controlled gradually increasing active exercise. Fractures, but also soft tissue injuries can cause secondary problems in birds like joint stiffness and contraction of ligaments and tendons, potentially rendering a bird permanently unable to fly and making him or her not releasable. Not unexpected, as in any sentient being, pain is an alarm bell which will dictate how extensive an injured body part will be actively used by the animal who has been inured. That also means that a bird will naturally not use the injured wing, or only to a certain degree, unless he or she is encouraged to do so. This is a well working mechanism, but to achieve best results early careful passive physiotherapy together with appropriate pain relief is often needed to avoid the complications mentioned above. Depending on the birds compliance, personality and individual character there are basically two different ways of rehabilitating a bird by using passive and gradually increasing active physiotherapy. Unlike old fashioned rehabilitation approaches, which are still be taught at animal care courses, we do not avoid interacting with our patients. In fact, we heavily rely on a close bond based on trust, which helps us to achieve best results. The concrete treatment approach always depends on an individual assessment of the animal concerned. In rare cases it might be necessary though, to constrain the animal for the time needed to assess injuries, or to do physiotherapeutic exercises. This procedure is usually stressful, despite precautions being taken to minimise the impact on the bird. 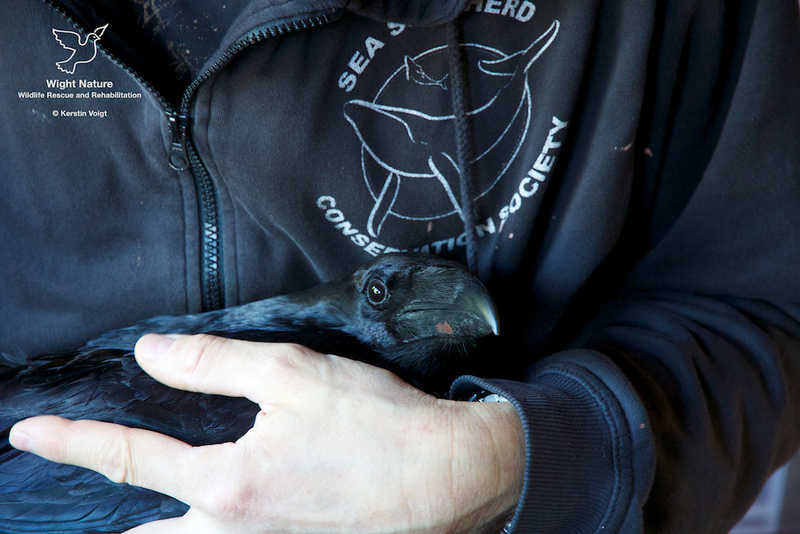 Over many years of working with corvids we have learned that in most cases a trust based relationship can be created, to allow even the physical contact needed to perform physiotherapeutic exercises. There is no risk of permanently imprinting or taming a bird, as this relationship is built out of a necessity, understanding and desire of the patient to recover and to get back to normal. This bond will be only temporary and is usually being cut by the patient at an appropriate time. 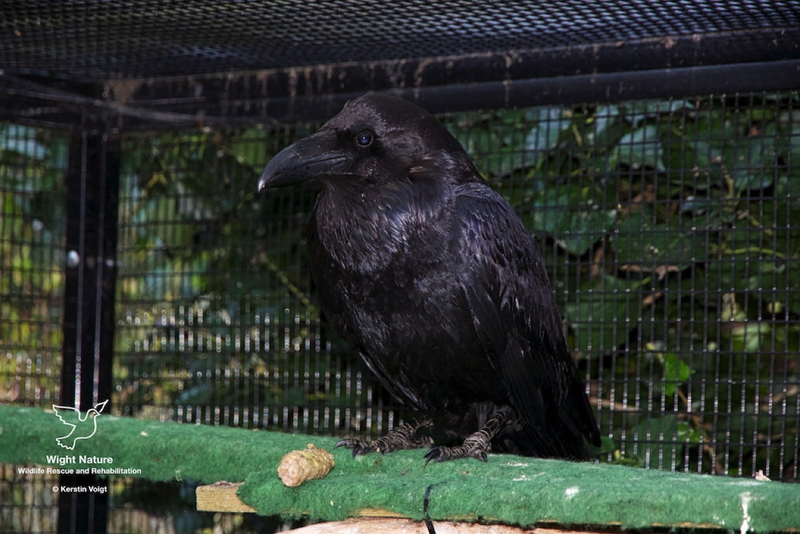 The provision of suitable, specifically tailored aviary space is the most commonly used way to encourage a bird to perform active physiotherapy, meaning to encourage the bird to fly and to strengthen his or her muscles. 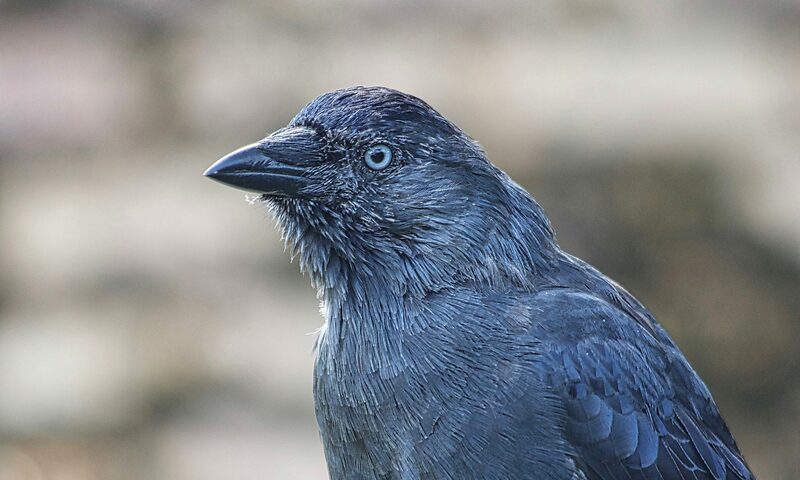 Zarathustra, a wild adult female raven, is a good example for this treatment approach based on trust, common sense and the targeted use of compliance to achieve the desired goal. She underwent her normal daily assessment and simple physiotherapeutic exercise performed usually twice a day, without the need for constraining the bird and causing unnecessary stress. Zarathustra did cooperate very well and was always in control of the situation. If an exercise did cause her any discomfort, or she was not content enough to proceed, she would either move away or she would make a non-verbal statement to make her intentions clear by using her powerful beak to gently nudge the offending hand away. Zarathustra made a full recovery and has been successfully released after four weeks of treatment and rehabilitation.